Tired of drinking just water? Are you a tea drinker? Do you enjoy iced tea in the summer? Well, pour a cup of tea and enjoy. It’s good for you. • May lower risk of heart disease, stroke and some other chronic diseases. • May lower your blood pressure as drinking just one cup of black tea daily lowered blood pressure levels in men in one study. • Drinking green tea helped increase bone formation in postmenopausal women. • Green tea increased activity in the part of the brain used for memory processing showing promise that it may prevent the formation of amyloid plaques associated with Alzheimer’s Disease. • The caffeine plus L-theanine in tea helps reduce levels of cortisol, a stress hormone. • Encourages healthy bacteria in your gastrointestinal tract. Most of these benefits come from the “flavonoids” in tea. Flavonoids provide beneficial antioxidant and biochemical effects. Considering there are little to no calories, a tea leaf is very high in flavonoids. Using hot water to steep the tea will provide you with the most flavonoids. Other methods of tea such as cold-brewed and powdered mixes don’t usually obtain the same flavonoid levels. Sun tea brewing is not recommended as molds or bacteria on the tea leaf are not destroyed as they would be with using hot water. Tufts University recommends using 175⁰ to 185⁰ Fahrenheit (F) water to brew green tea, 195⁰ F to brew oolong tea and 212⁰ F (boiling water) to brew black tea. Adding some lemon or other citrus juice adds little calories and reduces the risk of flavonoids loss through the digestion process. One caution: Although tea has only about half the caffeine of coffee, if you are caffeine sensitive you may have to be cautious. 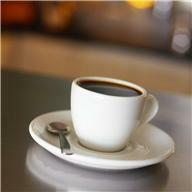 If you can’t handle caffeine try the decaffeinated teas or herbal teas that don’t contain caffeine. Most of the flavonoids are still intact in the decaffeinated teas. Calorie Caution: Some sweet teas have as much added sugar as a soda. Try unsweetened tea with fruit or juice added. Enjoy tea or iced tea this summer and don’t be afraid to try some of the new flavors of tea. 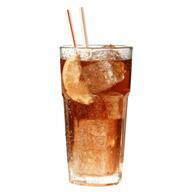 There are many different teas with additional flavors that make delicious iced tea. I really enjoy brewing my own flavored iced green tea to sip on during the hot days of summer. Tufts University, . Drinking Tea Protects Your Head, Heart and Bones, Tufts University Health & Nutrition Letter, April 2013, Vol. 31 (2) p 4-5. Tufts University, . Green Tea Protects Brain Cells, Tufts University Health & Nutrition Letter, June 2013, Vol. 31 (4) p 7.